Ravet has 2,857 career points, which passes Lance Den Boer of Sunnyside Christian, who finished his career with 2,851 points. With a nifty move under the basket in the third quarter, Kittitas’ Brock Ravet became Washington’s career high-school boys basketball scoring leader Friday afternoon. Ravet, who played sparingly in the fourth quarter, had 24 points, 12 assists and eight rebounds for the Coyotes (20-1) in a 72-22 win against Walla Walla Academy in an Eastern Washington Athletic Conference tournament game in Granger. Ravet, last year’s Gatorade State Player of the Year, has 2,857 career points, which passes Lance Den Boer of Sunnyside Christian, who finished his career in 2003 with 2,851 points. He needed 19 points entering Friday’s game. The game was stopped to honor Ravet. The celebration included Den Boer, who is the athletic director at Kiona-Benton High School. When did he think the record was a possibility? Ravet has an excellent shot at breaking 3,000 career points as he leads the two-time defending Class 2B state champs into the postseason. He could have another eight games in his career. Den Boer led Sunnyside Christian to a Class B state title in 2002 (before the B classification split into 2B and 1B in 2006). He originally played at Washington State before finishing his career at Central Washington. Ravet, a 6-foot-1 guard, is committed to Gonzaga. He is rated a three-star combo guard by 247Sports.com, which regards him as the No. 5 senior in the state. “I think Brock, you know, he averages 10 assists a game, he could have a lot more points than he has. 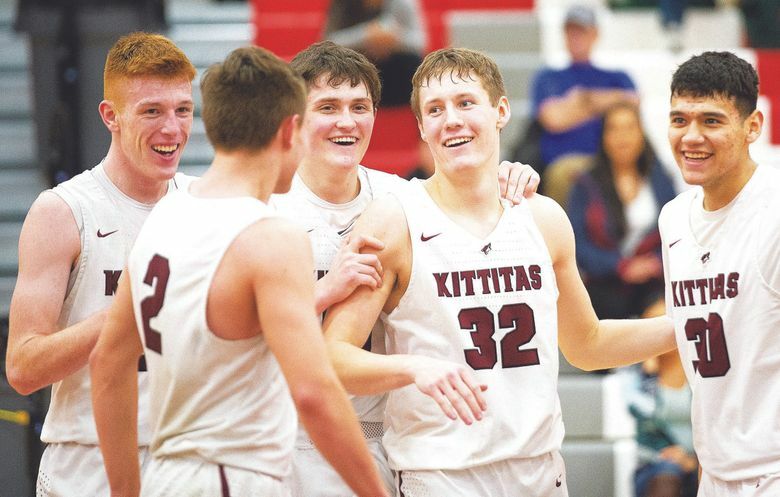 I think being rewarded or earning the leading point scorer in state history, that wouldn’t mean half as much if he didn’t do it the right way,” Brock’s father, Tim Ravet, who is the Kittitas coach, told the Daily Record.